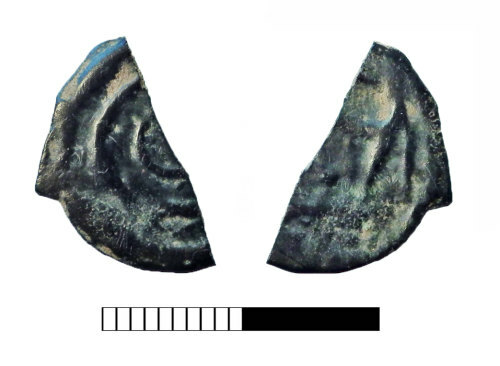 A fragment of an Iron Age copper-alloy potin coin. A fragment of an Iron Age cast copper alloy potin coin, Class 1. A fragment of an Iron Age cast potin coin. A fragment of an Iron Age Class 1 potin coin.